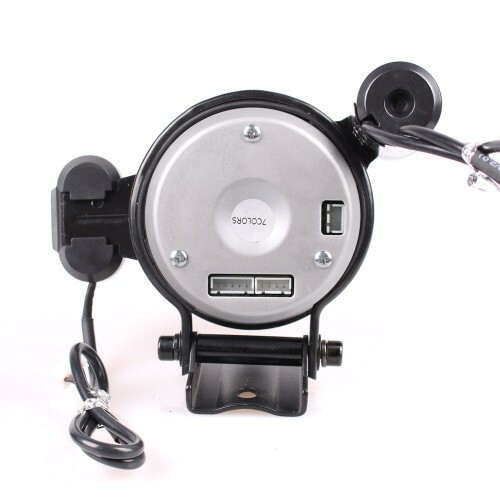 It uses high precision and high speed stepper motor. 11000 RPM and 80mm diameter. External shift light, green and red. Optionally the tachometer will beep when the second shift point is reached. Opening and closing ceremonies. Different movements to choose from. Connection the tachometer to the Pro-Gauge or to the Rev-Burner controllers is extremely easy. Connect the BLACK wire to the GND terminal of the Pro-Gauge or Rev-Burner controller. Connect the GREEN wire to the RPM terminal of the controller. Connect the RED, YELLOW and PINK wires to the 12V terminal of the controller. 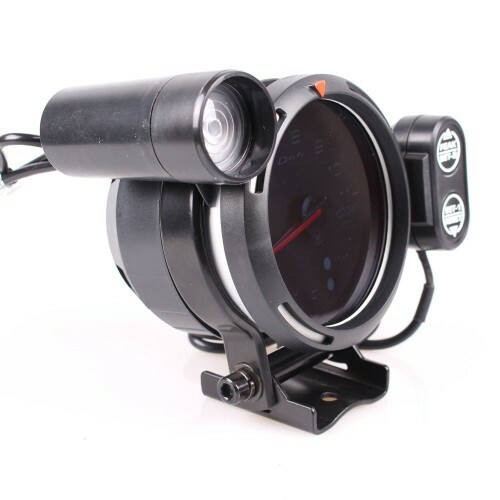 This is the simplest way to connect the gauge but there is one small problem: the backlight of the tachometer will stay ON all the time, even when not racing. the only way to switch the backlight OFF is disconnecting the power supply from the Pro-Gauge or Rev-Burner controllers. For a cleaner installation we suggest to use the Pro-Gauge controller and the Relay Module. 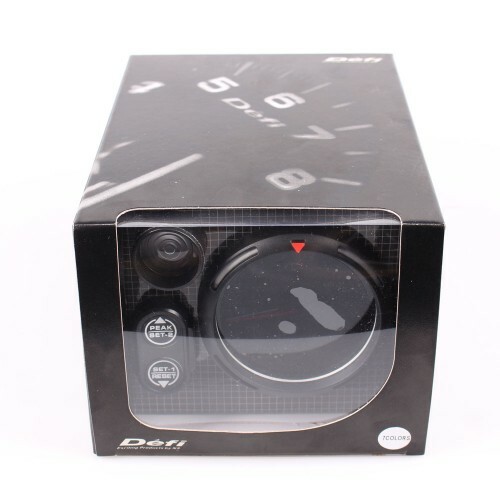 This way the backlight of the tachometer will be automatically switched ON and OFF when SimDash is started and stopped. The gauge will also display the opening and closing ceremonies when it starts and stops. 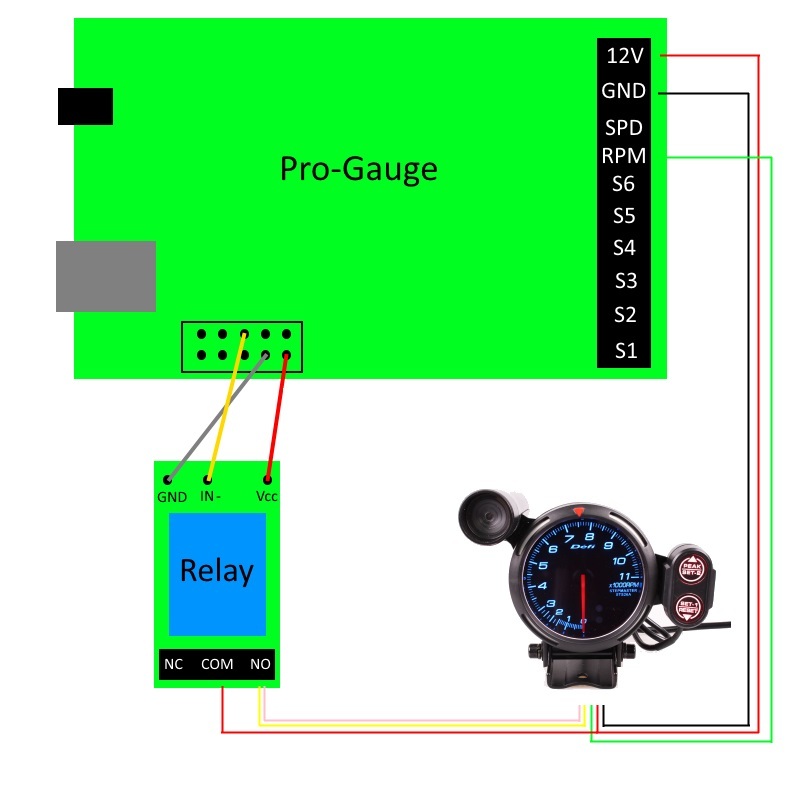 Connecting the gauge to the Pro-Gauge and relay module is simple and it is shown in the picture below. The color of the wires in the picture is the same as the color of the tachometer's wires. Keep the button pressed for two seconds. Use the and buttons to adjust the RPM value. Don't press any button for 5 seconds to return to normal mode. Setting up the second shift point. When the second shift point is reached, the shift light will lit red and optionally the tachometer will start beeping. Don't press any buttons for 5 seconds to return to normal mode. To cycle through the available colors, press the button. When done, don't press any button for 5 second to return to normal mode. Cycle through the brightness levels, pressing the button multiple times. When done, don't press any button for at least 5 seconds to return to normal mode. Cycle through the available ceremonies, pressing the button. When done, press the and buttons at the same time to return to normal mode. Press the and buttons at the same for at least 2 seconds. To switch the buzzer ON and OFF, press the button. Don't press anything for 5 seconds to return to normal mode. Change the number of cylinders pressing the button multiple times until the needle points the value 4. Instructions Manual can be download here. 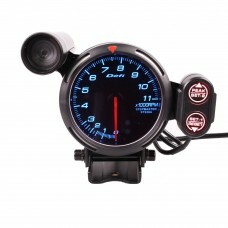 The Pro-Gauges controller makes it possible to interface your computer with a wide range of real car.. 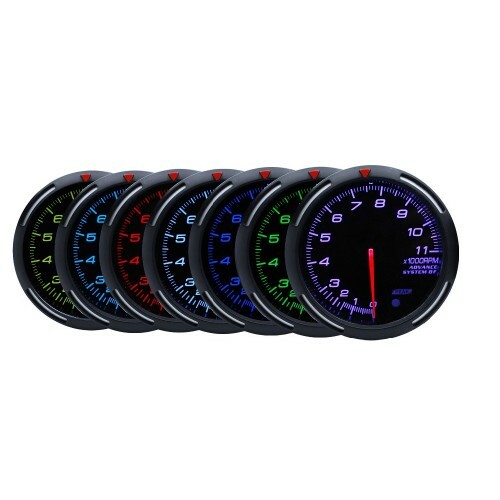 Features:Electric Tachometer (10.000 RPM)Part# 95TASWLS-P100% authentic RaceTech productUses h.. 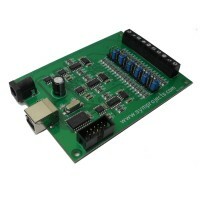 The Relay Module for the Pro-Gauge controller can be used to automatically switched on and off the g..